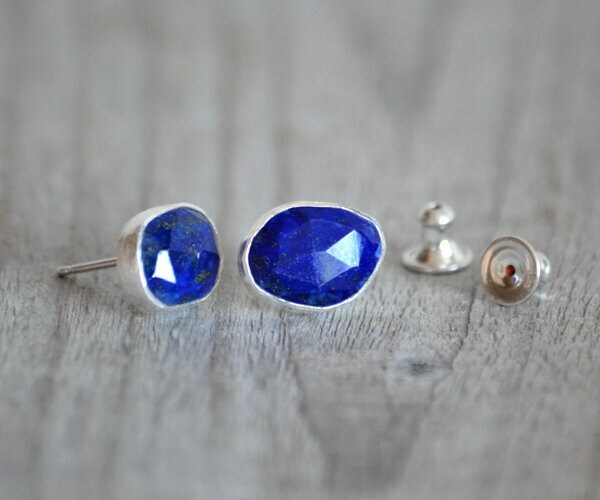 These lapis lazuli stud earrings are handmade at my studio in England. 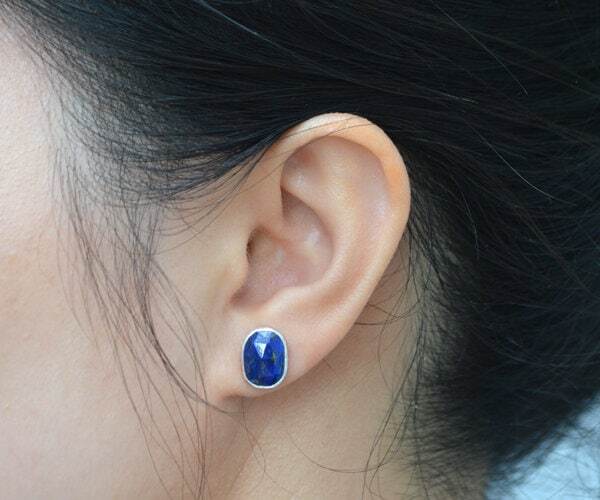 Each of them has its unique shape and beauty. 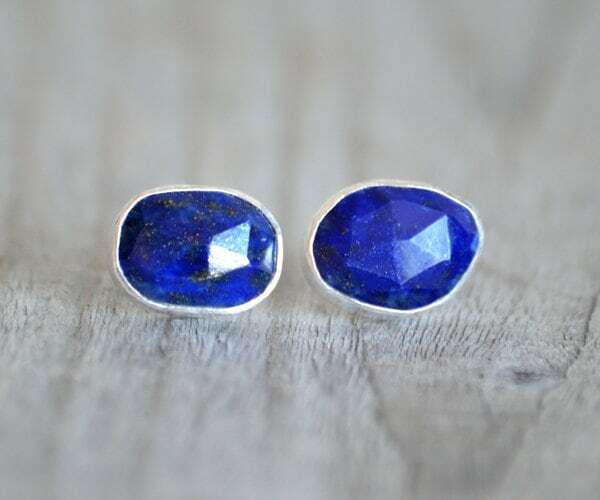 These studs are nickel free. 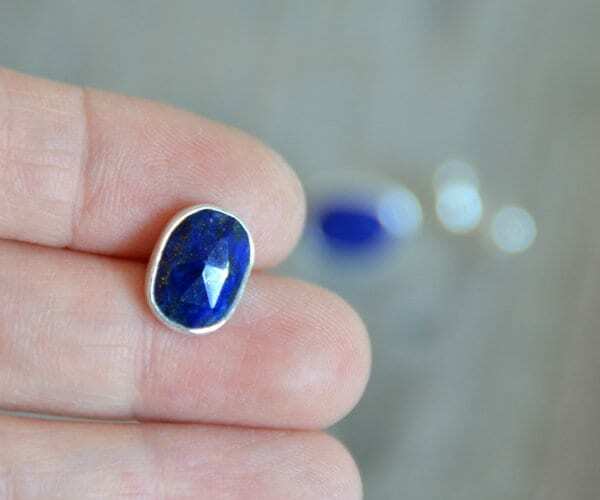 Matching lapis lazuli necklaces and rings are also available.